"Social democrats" redirects here. For a list of parties named as such, see Social Democratic Party. Not to be confused with democratic socialism. Social democracy is a political, social, and economic ideology that supports economic and social interventions to promote social justice within the framework of a liberal democratic polity and a capitalist economy. The protocols and norms used to accomplish this involve a commitment to representative and participatory democracy, measures for income redistribution, and regulation of the economy in the general interest and welfare state provisions. Social democracy thus aims to create the conditions for capitalism to lead to greater democratic, egalitarian and solidaristic outcomes. Due to longstanding governance by social democratic parties and their influence on socioeconomic policy development in the Nordic countries, in policy circles social democracy has become associated with the Nordic model in the latter part of the 20th century. Social democracy originated as a political ideology that advocated an evolutionary and peaceful transition from capitalism to socialism using established political processes in contrast to the revolutionary approach to transition associated with orthodox Marxism. In the early post-war era in Western Europe, social democratic parties rejected the Stalinist political and economic model then current in the Soviet Union, committing themselves either to an alternative path to socialism or to a compromise between capitalism and socialism. In this period, social democrats embraced a mixed economy based on the predominance of private property, with only a minority of essential utilities and public services under public ownership. As a result, social democracy became associated with Keynesian economics, state interventionism and the welfare state while abandoning the prior goal of replacing the capitalist system (factor markets, private property and wage labor) with a qualitatively different socialist economic system. With the rise of popularity for neoliberalism and the New Right by the 1980s, most social democratic parties have incorporated Third Way ideology, which aims to fuse liberal economics with social democratic welfare policies. Modern social democracy is characterized by a commitment to policies aimed at curbing inequality, oppression of underprivileged groups and poverty, including support for universally accessible public services like care for the elderly, child care, education, health care and workers' compensation. The social democratic movement often has strong connections with the labour movement and trade unions which are supportive of collective bargaining rights for workers as well as measures to extend decision-making beyond politics into the economic sphere in the form of co-determination for employees and other economic stakeholders. During late 19th and early 20th centuries, social democracy was a movement that aimed to replace private ownership with social ownership of the means of production, taking influences from both Marxism and the supporters of Ferdinand Lassalle. By 1868–1869, Marxism had become the official theoretical basis of the first social democratic party established in Europe, the Social Democratic Workers' Party of Germany (SDAP). In the early 20th century, the German social democratic politician Eduard Bernstein rejected the ideas in classical and orthodox Marxism that proposed a specific historical progression and revolution as a means to achieve social equality, and advanced the position that socialism should be grounded in ethical and moral arguments for social justice and egalitarianism, and was to be achieved through gradual legislative reform. Influenced by Bernstein, following the split between reformists and revolutionary socialists in the Second International social democratic parties rejected revolutionary politics in favor of parliamentary reform while remaining committed to socialization. In this period, social democracy became associated with reformist socialism. Under the influence of politicians like Carlo Rosselli in Italy, social democrats began disassociating themselves from Marxism altogether and embraced liberal socialism, appealing to morality instead of any consistent systematic, scientific or materialist worldview. Social democracy made appeals to communitarian, corporatist and sometimes nationalist sentiments while rejecting the economic and technological determinism generally characteristic of both Marxism and economic liberalism. By the post-World War II period, most social democrats in Europe had abandoned their ideological connection to Marxism and shifted their emphasis toward social policy reform in place of transition from capitalism to socialism. The origins of social democracy have been traced to the 1860s, with the rise of the first major working-class party in Europe, the General German Workers' Association (ADAV) founded by Ferdinand Lassalle. 1864 saw the founding of the International Workingmen's Association, also known as the First International. It brought together socialists of various stances and initially occasioned a conflict between Karl Marx and the anarchists led by Mikhail Bakunin over the role of the state in socialism, with Bakunin rejecting any role for the state. Another issue in the First International was the role of reformism. Although Lassalle was not a Marxist, he was influenced by the theories of Marx and Friedrich Engels and he accepted the existence and importance of class struggle. However, unlike Marx's and Engels's The Communist Manifesto, Lassalle promoted class struggle in a more moderate form. While Marx viewed the state negatively as an instrument of class rule that should only exist temporarily upon the rise to power of the proletariat and then dismantled, Lassalle accepted the state. Lassalle viewed the state as a means through which workers could enhance their interests and even transform the society to create an economy based on worker-run cooperatives. Lassalle's strategy was primarily electoral and reformist, with Lassalleans contending that the working class needed a political party that fought above all for universal adult male suffrage. The ADAV's party newspaper was called Der Sozialdemokrat (The Social Democrat). Marx and Engels responded to the title Sozialdemocrat with distaste, Engels once writing: "But what a title: Sozialdemokrat!...Why don't they simply call it The Proletarian". Marx agreed with Engels that Sozialdemokrat was a bad title. Although the origins of the name Sozialdemokrat actually traced back to Marx's German translation in 1848 of the French political party known as the Democratic Socialists (Partie Democrat-Socialist) into Partei der Sozialdemokratie, Marx did not like this French party because he viewed it as dominated by the middle class and associated the word Sozialdemokrat with that party. There was a Marxist faction within the ADAV represented by Wilhelm Liebknecht who became one of the editors of the Der Sozialdemokrat. Faced with opposition from liberal capitalists to his socialist policies, Lassalle controversially attempted to forge a tactical alliance with the conservative aristocratic Junkers due to their anti-bourgeois attitudes as well as with Prussian Chancellor Otto von Bismarck. Friction in the ADAV arose over Lassalle's policy of a friendly approach to Bismarck that had assumed incorrectly that Bismarck in turn would be friendly towards them. This approach was opposed by the party's Marxists, including Liebknecht. Opposition in the ADAV to Lassalle's friendly approach to Bismarck's government resulted in Liebknecht resigning from his position as editor of Die Sozialdemokrat and leaving the ADAV in 1865. In 1869, Liebknecht, along with Marxist August Bebel, founded the SDAP, which was founded as a merger of three groups: the petit-bourgeois Saxon People's Party (SVP), a faction of the ADAV; and members of the League of German Workers' Associations (VDA). Though the SDAP was not officially Marxist, it was the first major working-class organization to be led by Marxists and Marx and Engels had direct association with the party. The party adopted stances similar to those adopted by Marx at the First International. There was intense rivalry and antagonism between the SDAP and the ADAV, with the SDAP being highly hostile to the Prussian government while the ADAV pursued a reformist and more cooperative approach. This rivalry reached its height involving the two parties' stances on the Franco-Prussian War, with the SDAP refusing to support Prussia's war effort by claiming it was an imperialist war pursued by Bismarck, while the ADAV supported the war. In the aftermath of the defeat of France in the Franco-Prussian War, revolution broke out in France, with revolutionary army members along with working-class revolutionaries founding the Paris Commune. 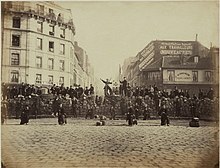 The Paris Commune appealed both to the citizens of Paris regardless of class as well as to the working class who were a major base of support for the government by appealing to them via militant rhetoric. In spite of such militant rhetoric to appeal to the working class, the Commune also received substantial support from the middle class bourgeoisie of Paris, including shopkeepers and merchants. The Commune, in part due to its sizable number neo-Proudhonians and neo-Jacobins in the Central Committee, declared that the Commune was not opposed to private property, but rather hoped to create the widest distribution of it. The political composition of the Commune included twenty-five neo-Jacobins, fifteen to twenty neo-Proudhonians and protosyndicalists, nine or ten Blanquists, a variety of radical republicans and a few Internationalists influenced by Marx. You know that the institutions, mores, and traditions of various countries must be taken into consideration, and we do not deny that there are countries—such as America, England, and if I were more familiar with your institutions, I would perhaps also add Holland—where the workers can attain their goal by peaceful means. This being the case, we must also recognize the fact that in most countries on the Continent the lever of our revolution must be force; it is force to which we must someday appeal in order to erect the rule of labor. If in England, for instance, or the United States, the working class were to gain a majority in Parliament or Congress, they could, by lawful means, rid themselves of such laws and institutions as impeded their development, though they could only do insofar as society had reached a sufficiently mature development. However, the "peaceful" movement might be transformed into a "forcible" one by resistance on the part of those interested in restoring the former state of affairs; if (as in the American Civil War and French Revolution) they are put down by force, it is as rebels against "lawful" force. The 'Abolition of the Property Qualification' and 'Vote by Ballot' are now the law of the land. The Reform Acts of 1867 and 1884 make a near approach to 'universal suffrage,' at least such as it now exists in Germany. A major non-Marxian influence on social democracy came from the British Fabian Society founded in 1884 by Frank Podmore that emphasised the need for a gradualist evolutionary and reformist approach to the achievement of socialism. The Fabian Society was founded as a splinter group from the Fellowship of the New Life due to opposition within that group to socialism. Unlike Marxism, Fabianism did not promote itself as a working-class-led movement and it largely had middle-class members. The Fabian Society published the Fabian Essays on Socialism (1889) that was substantially written by George Bernard Shaw. Shaw referred to Fabians as "all Social Democrats, with a common confiction [sic] of the necessity of vesting the organization of industry and the material of production in a State identified with the whole people by complete Democracy". Other important early Fabians included Sidney Webb, who from 1887 to 1891 wrote the bulk of the Society's official policies. Fabianism would become a major influence on the British labour movement. The modern social democratic movement came into being through a division within the socialist movement: this division can be described as a parting of ways between those who insisted upon political revolution as a precondition for the achievement of socialist goals and those who maintained that a gradual or evolutionary path to socialism was both possible and desirable. The influence of the Fabian Society in Britain grew in the British socialist movement in the 1890s, especially within the Independent Labour Party (ILP) founded in 1893. Important ILP members were affiliated with the Fabian Society, including Keir Hardie and Ramsay MacDonald—the future British Prime Minister. Fabian influence in British government affairs also emerged, such as Fabian member Sidney Webb being chosen to take part in writing what became the Minority Report of the Royal Commission on Labour. While Hardie was nominally a member of the Fabian Society, as leader of the ILP he had close relations with certain Fabians, such as Shaw, while he was antagonistic to others such as the Webbs. As ILP leader, Hardie rejected revolutionary politics while declaring that he believed the party's tactics should be "as constitutional as the Fabians". Another important Fabian figure who joined the ILP was Robert Blatchford who wrote the work Merrie England (1894) that endorsed municipal socialism. Merrie England was a major publication that sold 750,000 copies within one year. In Merrie England, Blatchford distinguished two types of socialism: an "ideal socialism" and a "practical socialism". Blatchford's practical socialism was a state socialism that identified existing state enterprise such as the Post Office run by the municipalities as a demonstration of practical socialism in action, he claimed that practical socialism should involve the extension of state enterprise to the means of production as common property of the people. While endorsing state socialism, Blatchford's Merrie England and his other writings were influenced by anarchist communist William Morris—as Blatchford himself attested to—and Morris' anarchist communist themes are present in Merrie England. Shaw published the Report on Fabian Policy (1896) that declared: "The Fabian Society does not suggest that the State should monopolize industry as against private enterprise or individual initiative". The method of this great philosopher [Kant] can serve as a pointer to the satisfying solution to our problem. Of course we don’t have to slavishly adhere to Kant's form, but we must match his method to the nature of our own subject [socialism], displaying the same critical spirit. Our critique must be direct against both a scepticism that undermines all theoretical thought, and a dogmatism that relies on ready-made formulas. The term "revisionist" was applied to Bernstein by his critics who referred to themselves as "orthodox" Marxists, even though Bernstein claimed that his principles were consistent with Marx's and Engels' stances, especially in their later years when they advocated that socialism should be achieved through parliamentary democratic means wherever possible. Bernstein and his faction of revisionists criticized orthodox Marxism and particularly its founder Karl Kautsky for having disregarded Marx's view of the necessity of evolution of capitalism to achieve socialism by replacing it with an "either/or" polarization between capitalism and socialism, claiming that Kautsky disregarded Marx's emphasis on the role of parliamentary democracy in achieving socialism, as well as criticizing Kautsky for his idealisation of state socialism. However, Kautsky did not deny a role for democracy in the achievement of socialism, as he claimed that Marx's dictatorship of the proletariat was not a form of government that rejected democracy as critics had claimed it was, but a state of affairs that Marx expected would arise should the proletariat gain power and be faced with fighting a violent reactionary opposition. Bernstein had held close association to Marx and Engels, but he saw flaws in Marxian thinking and began such criticism when he investigated and challenged the Marxian materialist theory of history. He rejected significant parts of Marxian theory that were based upon Hegelian metaphysics and he also rejected the Hegelian dialectical perspective. Bernstein distinguished between early Marxism as being its immature form: as exemplified by The Communist Manifesto written by Marx and Engels in their youth, that he opposed for what he regarded as its violent Blanquist tendencies; and later Marxism as being its mature form that he supported. Bernstein declared that the massive and homogeneous working class claimed in the Communist Manifesto did not exist and that—contrary to claims of a proletarian majority emerging—the middle class was growing under capitalism and not disappearing as Marx had claimed. Bernstein noted that the working class was not homogeneous but heterogeneous, with divisions and factions within it, including socialist and non-socialist trade unions. In his work Theories of Surplus Value, Marx himself later in his life acknowledged that the middle class was not disappearing, but due to the popularity of the Communist Manifesto and the obscurity of Theories of Surplus Value Marx's acknowledgement of this error is not well known. Bernstein criticized Marxism's concept of "irreconciliable class conflicts" and Marxism's hostility to liberalism. He challenged Marx's position on liberalism by claiming that liberal democrats and social democrats held common grounds that he claimed could be utilized to create a "socialist republic". He believed that economic class disparities between the bourgeoisie and the proletariat would gradually be eliminated through legal reforms and economic redistribution programs. Bernstein rejected the Marxian principle of dictatorship of the proletariat, claiming that gradualist democratic reforms will improve the rights of the working class. According to Bernstein—unlike orthodox Marxism—social democracy did not seek to create a socialism separate from bourgeois society, but instead sought to create a common development based on Western humanism. The development of socialism under social democracy does not seek to rupture existing society and its cultural traditions, but to act as an enterprise of extension and growth. Furthermore, he believed that class cooperation was a preferable course to achieve socialism, rather than class conflict. Bernstein responded to critics that he was not destroying Marxism, but claimed that he was "modernizing Marxism" that was required "to separate the vital parts of [Marx's] theory from its outdated accessories". He asserted his support for the Marxian conception of a "scientifically based" socialist movement and said that such a movement's goals must be determined in accordance with "knowledge capable of objective proof, that is, knowledge which refers to, and conforms with, nothing but empirical knowledge and logic". As such, Bernstein was strongly opposed to dogmatism within the Marxist movement. Despite embracing a mixed economy, Bernstein was skeptical and critical of welfare state policies, believing them to be helpful, but ultimately secondary to the main social democratic goal of replacing capitalism with socialism, fearing that state aid to the unemployed might lead to the sanctioning of a new form of pauperism. [T]here could be no socialism—at least in Germany—outside of Marxist socialism, and there could be no socialist class struggle outside of social democracy. From then on [the emergence of Marx's theory], socialism and Marxism, the proletarian struggle for emancipation, and social democracy were identical. Both Kautsky and Luxemburg condemned Bernstein for his "flawed" philosophy of science for having abandoned Hegelian dialectics for Kantian philosophical dualism. Russian Marxist George Plekhanov joined Kautsky and Luxemburg in condemning Bernstein for having a neo-Kantian philosophy. Kautsky and Luxemburg contended that Bernstein's empiricist viewpoints depersonalized and dehistoricized the social observer and reducing objects down to "facts". 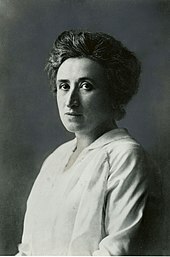 Luxemburg associated Bernstein with "ethical socialists" who she identified as being associated with the bourgeoisie and Kantian liberalism. In his introduction to the 1895 edition of Marx's The Class Struggles in France, Engels attempted to resolve the division between gradualist reformists and revolutionaries in the Marxist movement by declaring that he was in favour of short-term tactics of electoral politics that included gradualist and evolutionary socialist measures while maintaining his belief that revolutionary seizure of power by the proletariat should remain a goal. In spite of this attempt by Engels to merge gradualism and revolution, his effort only diluted the distinction of gradualism and revolution and had the effect of strengthening the position of the revisionists. Engels' statements in the French newspaper Le Figaro, in which he stated that "revolution" and the "so-called socialist society" was not a fixed concept, but was a constantly changing social phenomenon and said that this made "us [socialists] all evolutionists", increased the public perception that Engels was gravitating towards evolutionary socialism. Engels also said that it would be "suicidal" to talk about a revolutionary seizure of power at a time when the historical circumstances favoured a parliamentary road to power that he predicted could bring "social democracy into power as early as 1898". Engels' stance of openly accepting gradualist, evolutionary and parliamentary tactics while claiming that the historical circumstances did not favour revolution caused confusion. Bernstein interpreted this as indicating that Engels was moving towards accepting parliamentary reformist and gradualist stances, but he ignored that Engels' stances were tactical as a response to the particular circumstances and that Engels was still committed to revolutionary socialism. [A]s I was reading the lecture, the thought shot through my head that I was doing Marx an injustice, that it was not Marx I was presenting. [...] I told myself secretly that this could not go on. It is idle to reconcile the irreconcilable. The vital thing is to be clear as to where Marx is still right and where he is not. What Bernstein meant was that he believed that Marx was wrong in assuming that the capitalist economy would collapse as a result of its internal contradictions as by the mid-1890s there was little evidence of such internal contradictions causing this to capitalism. The dispute over policies in favour of reform or revolution dominated discussions at the 1899 Hanover Party Conference of the Socialist Workers' Party of Germany (SAPD). This issue had become especially prominent with the Millerand Affair in France in which Alexandre Millerand of the Independent Socialists joined the non-socialist government of France's liberal Prime Minister Waldeck-Rousseau without seeking support from his party's leadership. Millerand's actions provoked outrage amongst revolutionary socialists within the Second International, including the anarchist left and Jules Guesde's revolutionary Marxists. In response to these disputes over reform or revolution, the 1900 Paris Congress of the Second International declared a resolution to the dispute, in which Guesde's demands were partially accepted in a resolution drafted by Kautsky that declared that overall socialists should not take part in a non-socialist government, but provided exceptions to this rule where necessary to provide the "protection of the achievements of the working class". Another prominent figure who influenced social democracy was French revisionist Marxist and reformist socialist Jean Jaurès. During the 1904 Congress of the Second International, Jaurès challenged orthodox Marxist August Bebel, the mentor of Kautsky, over his promotion of monolithic socialist tactics. Jaurès claimed that no coherent socialist platform could be equally applicable to different countries and regions due to different political systems in them; noting that Bebel's homeland of Germany at the time was very authoritarian and had limited parliamentary democracy. He compared the limited political influence of socialism in government in Germany to the substantial influence that socialism had gained in France due to its stronger parliamentary democracy. He claimed that the example of the political differences between Germany and France demonstrated that monolithic socialist tactics were impossible, given the political differences of various countries. As tensions between Europe's Great Powers escalated in the late 19th and early 20th centuries, Bernstein feared that Germany's arms race with other powers was threatening the possibility of a major war. Bernstein's fears were realised with the outbreak of World War I. Immediately after the outbreak of World War I, Bernstein travelled from Germany to Britain to meet with British Labour Party leader Ramsay MacDonald. Bernstein regarded the outbreak of the war with great dismay, but even though the two countries were at war with one another he honoured Bernstein at the meeting. In spite of Bernstein's and other social democrats' attempts to secure the unity of the Second International, with national tensions increasing between the countries at war, the Second International collapsed in 1914. Anti-war members of the SPD refused to support finances being given to the German government to support the war. However, a nationalist-revisionist faction of SPD members led by Friedrich Ebert, Gustav Noske and Philipp Scheidemann supported the war, arguing that Germany had the "right to its territorial defense" from the "destruction of Tsarist despotism". The SPD's decision to support the war, including Bernstein's decision to support it, was heavily influenced by the fact that the German government lied to the German people, as it claimed that the only reason Germany had declared war on Russia was because Russia was preparing to invade East Prussia, when in fact this was not the case. Jaurès opposed France's intervention in the war and took a pacifist stance, but was soon assassinated in 1914. Bernstein soon resented the war and by October 1914 was convinced of the German government's war guilt and contacted the orthodox Marxists of the SPD to unite to push the SPD to take an anti-war stance. Kautsky attempted to put aside his differences with Bernstein and join forces in opposing the war and Kautsky praised him for becoming a firm anti-war proponent, saying that although Bernstein had previously supported "civic" and "liberal" forms of nationalism, his committed anti-war position made him the "standard-bearer of the internationalist idea of social democracy". The nationalist position by the SPD leadership under Ebert refused to rescind. In Britain, the British Labour Party became divided on the war. Labour Party leader Ramsay MacDonald was one of a handful of British MPs who had denounced Britain's declaration of war on Germany. MacDonald was denounced by the pro-war press on accusations that he was "pro-German" and a pacifist, both charges that he denied. In response to pro-war sentiments in the Labour Party, MacDonald resigned from being its leader and associated himself with the Independent Labour Party. Arthur Henderson became the new leader of the Labour Party and served as a cabinet minister in Prime Minister Asquith's war government. After the February Revolution of 1917 in Russia (not to be confused with the October Revolution) in which the Tsarist regime in Russia was overthrown, MacDonald visited the Russian Provisional Government in June 1917, seeking to persuade Russia to oppose the war and seek peace. His efforts to unite the Russian Provisional Government against the war failed after Russia fell back into political violence resulting in the October Revolution in which the Bolsheviks led Vladimir Lenin's rise to power. Though MacDonald critically responded to the Bolsheviks' political violence and rise to power by warning of "the danger of anarchy in Russia", he gave political support to the Bolshevik regime until the end of the war because he then thought that a democratic internationalism could be revived. The British Labour Party's trade union affiliated membership soared during World War I. With the assistance of Sidney Webb, Henderson designed a new constitution for the British Labour Party, in which it adopted a strongly left-wing platform in 1918 to ensure that it would not lose support to the new Communist Party, exemplified by Clause IV of the constitution. The overthrow of the Tsarist regime in Russia in February 1917 impacted politics in Germany, as it ended the legitimation used by Ebert and other pro-war SPD members that Germany was in the war against a reactionary Russian government. With the overthrow of the Tsar and revolutionary socialist agitation increased in Russia, such events influenced socialists in Germany. With rising bread shortages in Germany amid war rationing, mass strikes occurred beginning in April 1917 with 300,000 strikers taking part in a strike in Berlin. The strikers demanded bread, freedom, peace and the formation of workers' councils as was being done in Russia. Amidst the German public's uproar, the SPD alongside the Progressives and the Catholic labour movement in the Reichstag put forward the "Peace Resolution" on 19 July 1917 that called for a compromise peace to end the war, which was passed by a majority of members of the Reichstag. The German High Command opposed the Peace Resolution, but it did seek to end the war with Russia and presented the Treaty of Brest-Litovsk to the Bolshevik regime in 1918 that agreed to the terms and the Reichstag passed the treaty, which included the support of the SPD, the Progressives and the Catholic political movement. By late 1918, the war situation for Germany had become hopeless and Kaiser Wilhelm II was pressured to make peace. Wilhelm II appointed a new cabinet that included SPD members. At the same time, the Imperial Naval Command was determined to make a heroic last stand against the British Royal Navy and on 24 October 1918 it issued orders for the German Navy to depart to confront while the sailors refused, resulting in the Kiel Mutiny. The Kiel Mutiny resulted in the German Revolution of 1918–1919. Faced with military failure and revolution the Chancellor, Prince Maximilian of Baden resigned, giving SPD leader Ebert the position of Chancellor, Wihelm II abdicated the German throne immediately afterwards and the German High Command officials Paul von Hindenburg and Erich Ludendorff resigned whilst refusing to end the war to save face, leaving the Ebert government and the SPD-majority Reichstag to be forced to make the inevitable peace with the Allies and take the blame for having lost the war. With the abdication of Wilhelm II, Ebert declared Germany to be a republic and signed the armistice that ended World War I on 11 November 1918. The new social democratic government in Germany faced political violence in Berlin by a movement of communist revolutionaries known as the Spartacist League who sought to repeat the feat of Lenin and the Bolsheviks in Russia by overthrowing the German government. Tensions between the governing "Majority" Social Democrats (led by Ebert) versus the strongly left-wing elements of the Independent Social Democratic Party (USPD) and communists over Ebert's refusal to immediately reform the German Army, resulted in the "January rising" by the newly formed Communist Party of Germany (KPD) and the USPD, resulting in communists mobilizing a large workers' demonstration. The SPD responded by holding a counter-demonstration that was effective in demonstrating support for the government, and the USPD soon withdrew its support for the rising. However, the communists continued to revolt and between 12 to 28 January 1919 communist forces had seized control of several government buildings in Berlin. Ebert responded by requesting that Defense Minister Gustav Noske take charge of loyal soldiers to fight the communists and secure the government. Ebert was furious with the communists' intransigence and said that he wished "to teach the radicals a lesson they would never forget". Noske was able to rally groups of mostly reactionary ex soldiers, known as the Freikorps, who were eager to fight the communists. The situation soon went completely out of control when the recruited Freikorps went on a violent rampage against workers and murdered the communist leaders Karl Liebknecht and Rosa Luxemburg. The atrocities by the government-recruited Freikorps against the communist revolutionaries badly tarnished the reputation of the SPD and strengthened the confidence of reactionary forces. In spite of this, the SPD was able to win the largest number of seats in the parliamentary election held on 19 January 1919 and Ebert was elected President of Germany, but the USPD in response to the atrocities committed by the government-recruited Freikorps, refused to support the SPD government. Due to the unrest in Berlin, the drafting of the constitution of the new German republic was undertaken in the city of Weimar and the following political era is referred to as the Weimar Republic. Upon founding the new government, President Ebert cooperated with liberal members of his coalition government to create the constitution and sought to begin a program of nationalization of some parts of the economy. Political unrest and violence continued and the government's continued reliance on the help of the Freikorps counterrevolutionaries to fight the communist revolutionaries continued to alienate potential left-wing support for the SPD. The SPD coalition government's acceptance of the harsh peace conditions of the Treaty of Versailles in June 1919, infuriated the right, including the Freikorps that had previously been willing to cooperate with the government to fight the communists. In the German parliamentary election of June 1919, the SPD share of the vote declined significantly. In March 1920, a group of right-wing militarists led by Wolfgang Kapp and former German military chief-of-staff Erich Ludendorff initiated a briefly successful putsch against the German government in what became known as the Kapp Putsch, but the putsch ultimately failed and the government was restored. At a global level, after World War I several attempts were made to re-found the Second International that collapsed amidst national divisions in the war. The Vienna International formed in 1921 attempted to end the rift between reformist socialists, including social democrats; and revolutionary socialists, including communists, particularly the Mensheviks. However, a crisis soon erupted that involved the new country of Georgia led by a social democratic government led by President Noe Zhordania that had declared itself independent from Russia in 1918 whose government had been endorsed by multiple social democratic parties. At founding meeting of the Vienna International, the discussions were interrupted by the arrival of a telegram from Zhordania who said that Georgia was being invaded by Bolshevik Russia. Delegates attending the International's founding meeting were stunned, particularly the Bolshevik representative from Russia, Mecheslav Bronsky, who refused to believe this and left the meeting to seek confirmation of this, but upon confirmation Bronsky did not return to the meeting. The overall response from the Vienna International was divided, the Mensheviks demanded that the International immediately condemn Russia's aggression against Georgia, but the majority as represented by German delegate Alfred Henke sought to exercise caution and said that the delegates should wait for confirmation. Russia's invasion of Georgia completely violated the non-aggression treaty signed between Lenin and Zhordania, as well as violating Georgia's sovereignty by annexing Georgia directly into the Russian Soviet Federated Socialist Republic. Tensions between Bolsheviks and social democrats worsened with the Kronstadt rebellion. This was caused by unrest among leftists against the Bolshevik government in Russia: Russian social democrats distributed leaflets calling for a general strike against the Bolshevik regime and the Bolsheviks responded by forcefully repressing the rebels. Relations between the social democratic movement and Bolshevik Russia descended into complete antagonism in response to the Russian famine of 1921 and the Bolsheviks' violent repression of opposition to their government. Multiple social democratic parties were disgusted with Russia's Bolshevik regime, particularly Germany's SPD and the Netherlands' Social Democratic Workers' Party (SDAP) that denounced the Bolsheviks for defiling socialism and declared that the Bolsheviks had "driven out the best of our comrades, thrown them into prison and put them to death". In May 1923, social democrats united to found their own international, the Labour and Socialist International (LSI), founded in Hamburg, Germany. The LSI declared that all its affiliated political parties would retain autonomy to make their own decisions regarding internal affairs of their countries, but that international affairs would be addressed by the LSI. The LSI addressed the issue of the rise of fascism by declaring the LSI to be anti-fascist. In response to the outbreak of the Spanish Civil War in 1936 between the democratically elected Republican government versus the authoritarian right-wing Nationalists led by Francisco Franco with the support of Fascist Italy and Nazi Germany, the Executive Committee of the LSI declared not only its support for the Spanish Republic but also that it supported the Spanish government having the right to purchase arms to fight Franco's Nationalist forces. LSI-affiliated parties, including the British Labour Party, declared their support for the Spanish Republic. However, the LSI was criticised on the left for failing to put its anti-fascist rhetoric into action. The stock market crash of 1929 that began an economic crisis in the United States that globally spread and became the Great Depression profoundly affected economic policy-making. The collapse of the gold standard and the emergence of mass unemployment resulted in multiple governments recognising the need for state macroeconomic intervention to reduce unemployment as well as economic intervention to stabilise prices, a proto-Keynesianism that John Maynard Keynes himself would soon publicly endorse. Multiple social democratic parties declared the need for substantial investment in economic infrastructure projects to respond to unemployment, and creating social control over money flow. Furthermore, social democratic parties declared that the Great Depression demonstrated the need for substantial macroeconomic planning while their pro-property rights opponents staunchly opposed this. However, attempts by social democratic governments to achieve this were unsuccessful due to the ensuing political instability in their countries from the depression, the British Labour Party became internally split over the policies while Germany's SPD government did not have the time to implement such policies as Germany's politics turned to violent civil unrest in which the Nazis rose to power in 1933 and dismantled parliamentary democracy. A major development for social democracy was the victories of several social democratic parties in Scandinavia, particularly the Swedish Social Democratic Party (SAP) in the 1920 Swedish election. The SAP was elected to a minority government. It created a Socialisation Committee that declared support for a mixed economy that combined the best of private initiative with social ownership or control, supporting a substantial socialisation "of all necessary natural resources, industrial enterprises, credit institutions, transportation and communication routes" that would be gradually transferred to the state. It permitted private ownership outside of these areas. In 1922, Ramsay MacDonald returned to the leadership of the Labour Party from the Independent Labour Party. In the 1924 British election, the Labour Party won a plurality of seats and was elected as a minority government, but required assistance from the Liberal Party to achieve a majority in parliament. Opponents of the Labour Party accused the party of communist sympathies. Prime Minister MacDonald responded to these allegations by stressing the party's commitment to reformist gradualism and openly opposing the radical wing in the party. MacDonald emphasized that the Labour minority government's first and foremost commitment was to uphold democratic responsible government over all other policies. MacDonald emphasized this because he knew that any attempt to pass major socialist legislation in a minority government status would endanger the new government, because it would be opposed and blocked by the Conservatives and the Liberals who together held a majority of seats. The Labour Party had risen to power in the aftermath of Britain's severe recession of 1921–1922: with the economy beginning to recover, British trade unions demanded that their wages be restored from the cuts they took in the recession. The trade unions soon became deeply dissatisfied with the MacDonald government and labour unrest and threat of strikes arose in transportation sector, including docks and railways. MacDonald viewed the situation as a crisis, consulting the unions in advance to warn them that his government would have to use strikebreakers if the situation continued. The anticipated clash between the government and the unions was averted, but the situation alienated the unions from the MacDonald government. MacDonald's most controversial action was having Britain recognize the government of the Soviet Union in February 1924. The British Conservative press, including the Daily Mail, used this to promote a red scare by claiming that the Labour government's recognition of the Soviet Union proved that Labour held pro-Bolshevik sympathies. The Labour Party lost the 1924 election and a Conservative government was elected. Though MacDonald faced multiple challenges to his leadership of the party, the party stabilized by 1927 as a capable opposition to the Conservative government. MacDonald released a new political programme for the party titled Labour and the Nation (1928). The Labour Party returned to government in 1929, but soon faced the economic catastrophe of the stock market crash of 1929. In the 1920s, SPD policymaker and Marxist Rudolf Hilferding proposed substantial policy changes in the SPD as well as influencing social democratic and socialist theory. Hilferding was an influential Marxian socialist both inside the social democratic movement and outside it, such as his pamphlet titled Imperialism which influenced Lenin's own conception of imperialism in the 1910s. Prior to the 1920s Hilferding declared that capitalism had evolved beyond what had been laissez-faire capitalism into what he called "organized capitalism". Organized capitalism was based upon trusts and cartels controlled by financial institutions that could no longer make money within their countries' national boundaries and thus needed to export to survive, resulting in support for imperialism. Hilferding described that while early capitalism promoted itself as peaceful and based on free trade, the era of organized capitalism was aggressive and said that "in the place of humanity there came the idea of the strength and power of the state". He said that this had the consequence of creating effective collectivization within capitalism and had prepared the way for socialism. Originally, Hilferding's vision of a socialism replacing organized capitalism was highly Kautskyan in assuming an either/or perspective and expecting a catastrophic clash between organized capitalism versus socialism. However, by the 1920s Hilferding became an adherent to promoting a gradualist evolution of capitalism into socialism. He then praised organized capitalism for being a step towards socialism, saying at the SPD congress in 1927 that "organized capitalism" is nothing less than "the replacement of the capitalist principle of free competition by the socialist principle of planned production". 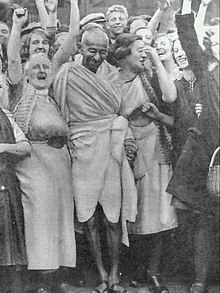 He went on to say that "the problem is posed to our generation: with the help of the state, with the help of conscious social direction, to transform the economy organized and led by capitalists into an economy directed by the democratic state". In the 1930s, the SPD began to transition away from revisionist Marxism towards liberal socialism beginning in the 1930s. After the party was banned by the Nazis in 1933, the SPD acted in exile through Sopade. In 1934, the Sopade began to publish material that indicated that the SPD was turning towards liberal socialism. Curt Geyer, who was a prominent proponent of liberal socialism within the Sopade, declared that Sopade represented the tradition of Weimar Republic social democracy, liberal democratic socialism and stated that the Sopade had held true to its mandate of traditional liberal principles combined with the political realism of socialism. The only social democratic governments in Europe that remained by the early 1930s were in Scandinavia. In the 1930s, several Swedish social democratic leadership figures, including former Swedish Prime Minister and secretary and chairman of the Socialization Committee Rickard Sandler and Nils Karleby, rejected earlier SAP socialization policies pursued in the 1920s for being too extreme. Karleby and Sandler developed a new conception of social democracy, the Nordic model, which called for gradual socialization and redistribution of purchasing power, provision of educational opportunity and support of property rights. The Nordic model would permit private enterprise on the condition that it adheres to the principle that the resources it disposes are in reality public means and would create of a broad category of social welfare rights. The new SAP government of 1932 replaced the previous government's universal commitment to a balanced budget with a Keynesian-like commitment, which in turn was replaced with a balanced budget within a business cycle. Whereas the 1921–1923 SAP governments had run large deficits, after a strong increase in state expenditure in 1933 the new SAP government reduced Sweden's budget deficit. The government had planned to eliminate Sweden's budget deficit in seven years, but it took only three years to eliminate the deficit and Sweden had a budget surplus from 1936 to 1938. However, this policy was criticized because—although the budget deficit had been eliminated—major unemployment still remained a problem in Sweden. In the Americas from the 1920s to 1930s, social democracy was rising as a major political force. In Mexico, several social democratic governments and presidents were elected from the 1920s to the 1930s. The most important Mexican social democratic government of this time was that led by President Lázaro Cárdenas and the Party of the Mexican Revolution whose government initiated agrarian reform that broke up vast aristocratic estates and redistributed property to peasants. Cárdenas was deeply committed to social democracy, but was criticized by his left-wing opponents for being pro-capitalist due to his personal association with a wealthy family and for being corrupt due to his government's exemption from agrarian reform of the estate held by former Mexican President Alvaro Obregón. Political violence in Mexico had become serious in the 1920s with the Cristero War in which right-wing reactionary clericals fought against the left-wing government that was attempting to institute secularization of Mexico. Furthermore, Cardenas' government openly supported Spain's Republican government while opposing Francisco Franco's Nationalists during the Spanish Civil War. During the Spanish Civil War, Cárdenas staunchly asserted that Mexico was progressive and socialist, working with socialists of various types—including communists—and accepting refugees from Spain, as well as accepting communist dissident Leon Trotsky as a refugee after Joseph Stalin expelled Trotsky and sought to have him killed. Cárdenas strengthened the rights of Mexico's labour movement, nationalized foreign oil companies and controversially supported peasants in their struggle against landlords by allowing them to form militias to fight the private armies of landlords in the country. Cárdenas' actions deeply aggravated right-wing reactionaries and there was fear that Mexico would succumb to civil war. Cardenas stepped down as Mexican President and supported a compromise presidential candidate who held support from business interests in order to avoid further antagonizing the right-wing. Meanwhile, as Socialism advances throughout the world, new forces have arisen to threaten the movement towards freedom and social justice. Since the Bolshevik Revolution in Russia, Communism has split the International Labour Movement and has set back the realisation of Socialism in many countries for decades. Communism falsely claims a share in the Socialist tradition. In fact it has distorted that tradition beyond recognition. It has built up a rigid theology which is incompatible with the critical spirit of Marxism. Where Socialists aim to achieve freedom and justice by removing the exploitation which divides men under capitalism, Communists seek to sharpen those class divisions only in order to establish the dictatorship of a single party. International Communism is the instrument of a new imperialism. Wherever it has achieved power it has destroyed freedom or the chance of gaining freedom. It is based on a militarist bureaucracy and a terrorist police. By producing glaring contrasts of wealth and privilege it has created a new class society. Forced labour plays an important part in its economic organisation. The rise of Keynesianism in the Western world during the Cold War influenced the development of social democracy. The attitude of social democrats towards capitalism changed as a result of the rise of Keynesianism. Capitalism was acceptable to social democrats only if capitalism's typical crises could be prevented and if mass unemployment could be averted: Keynesianism was believed to be able to provide this. Social democrats came to accept the market for reasons of efficiency and endorsed Keynesianism as that was expected to reconcile democracy and capitalism. After the 1945 British election, a Labour government was formed by Clement Attlee (later Earl Attlee). Attlee immediately began a program of major nationalizations of the economy. From 1945 to 1951, the Labour government nationalized the Bank of England, civil aviation, cable and wireless, coal, transport, electricity, gas and iron and steel. This policy of major nationalizations gained support from the left faction within the Labour Party that saw the nationalizations as achieving the transformation of Britain from a capitalist to socialist economy. However, the Labour government's nationalizations were staunchly condemned by the opposition Conservative Party. The Conservatives defended private enterprise and accused the Labour government of intending to create a Soviet-style centrally planned socialist state. Despite these accusations, the Labour government's three Chancellors of the Exchequer, Hugh Dalton, Stafford Cripps and Hugh Gaitskell, all opposed Soviet-style central planning. Initially there were strong direct controls by the state in the economy that had already been implemented by the British government during World War II, but after the war these controls gradually loosened under the Labour government and were eventually phased out and replaced by Keynesian demand management. In spite of opposition by the Conservatives to the nationalizations, all of the nationalizations except for the nationalization of coal and iron soon became accepted in a national consensus on the economy that lasted until the Thatcher era when the national consensus turned towards support of privatization. The Labour Party lost the 1951 election and a Conservative government was formed. There were early major critics of the nationalization policy within the Labour Party in the 1950s. In The Future of Socialism (1956), British social democratic theorist Anthony Crosland argued that socialism should be about the reforming of capitalism from within. Crosland claimed that the traditional socialist programme of abolishing capitalism on the basis of capitalism inherently causing immiseration had been rendered obsolete by the fact that the post-war Keynesian capitalism had led to the expansion of affluence for all, including full employment and a welfare state. Crosland claimed that the rise of such an affluent society had resulted in class identity fading and as a consequence socialism in its traditional conception as then supported by the British Labour Party was no longer attracting support. He claimed that the Labour Party was associated in the public's mind as having "a sectional, traditional, class appeal" that was reinforced by bickering over nationalization. Crosland argued that in order for the Labour Party to become electable again it had to drop its commitment to nationalization and to stop equating nationalization with socialism. Instead of this, he claimed that a socialist programme should be about support of social welfare, redistribution of wealth and "the proper dividing line between the public and private spheres of responsibility". The SPD in West Germany in 1945 endorsed a similar policy on nationalizations to that of the British Labour government. SPD leader Kurt Schumacher declared that the SPD was in favour of nationalizations of key industrial sectors of the economy, such as banking and credit, insurance, mining, coal, iron, steel, metal-working and all other sectors that were identified as monopolistic or cartelized. 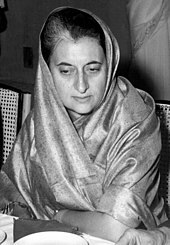 Upon becoming a sovereign state in 1947, India elected the social democratic Indian National Congress to government with its leader Jawaharlal Nehru becoming Indian Prime Minister. Nehru declared: "In Europe, we see many countries have advanced very far on the road to socialism. I am not referring to the communist countries but to those which may be called parliamentary, social democratic countries". In power, Nehru's government emphasized state-guided national development of India and took inspiration from social democracy, though India's newly formed Planning Commission also took inspiration from post-1949 China's agricultural policies. The new sovereign state of Israel elected the socialist Mapai party that sought the creation of a socialist economy based on cooperative ownership of the means of production via the kibbutz system while it rejected nationalization of the means of production. The kibbutz are producer cooperatives that with government assistance have flourished in Israel. In 1959, the SPD instituted a major policy review with the Godesberg Program. The Godesberg Program eliminated the party's remaining Marxist-aligned policies and the SPD became based upon freiheitlicher Sozialismus (liberal socialism). With the adoption of the Godsberg Program, the SPD renounced Marxist determinism and classism and replaced it with an ethical socialism based on humanism and emphasized that the party was democratic, pragmatic and reformist. The most controversial decision of the Godesberg Program was its declaration saying: "Private ownership of the means of production can claim protection by society as long as it does not hinder the establishment of social justice". This policy meant the endorsement of Keynesian economic management, social welfare and a degree of economic planning, as well as an abandonment of the classical conception of socialism as involving the replacement of capitalist economic system. It declared that the SPD "no longer considered nationalization the major principle of a socialist economy but only one of several (and then only the last) means of controlling economic concentration of power of key industries", while also committing the SPD to an economic stance to promote "as much competition as possible, as much planning as necessary". This decision to abandon this traditional policy angered many in the SPD who had supported it. With these changes, the SPD enacted the two major pillars of what would become the modern social democratic program: making the party a people's party rather than a party solely representing the working class and abandoning remaining Marxist policies aimed at destroying capitalism and replacing them with policies aimed at reforming capitalism. The Godesberg Program divorced its conception of socialism from Marxism, declaring that democratic socialism in Europe was "rooted in Christian ethics, humanism, and classical philosophy". The Godesberg Program has been seen as involving the final prevailing of the reformist agenda of Bernstein over the orthodox Marxist agenda of Kautsky. The Godesberg Program was a major revision of the SPD's policies and gained attention from beyond Germany. At the time of its adoption, in neighbouring France the stance of the French Section of the Workers' International (SFIO) was divided on the Godesberg Program while the Autonomous Socialist Party (PSA) denounced the Godesberg Program as "a renunciation of Socialism" and opportunistic reaction to the SPD's electoral defeats. The economic crisis in the Western world during the mid to late 1970s resulted in the rise of neoliberalism and politicians elected on neoliberal platforms such as British Prime Minister Margaret Thatcher and U.S. President Ronald Reagan. The rise in support for neoliberalism raised questions over the political viability of social democracy, such as sociologist Ralf Dahrendorf predicting the "end of the social democratic century". In 1985, an agreement was made between several social democratic parties in the Western bloc countries of Belgium, Denmark and the Netherlands; and with the communist parties of the Eastern Bloc countries of Bulgaria, East Germany and Hungary; to have multilateral discussions on trade, nuclear disarmament and other issues. In 1989, the Socialist International adopted its present Declaration of Principles. The Declaration of Principles addressed issues concerning the "internationalization of the economy". The Declaration of Principles defined its interpretation of the nature of socialism. It stated that socialist values and vision include "a peaceful and democratic world society combining freedom, justice and solidarity". It defined the rights and freedoms it supported, stating: "Socialists protect the inalienable right to life and to physical safety, to freedom of belief and free expression of opinion, to freedom of association and to protection from torture and degradation. Socialists are committed to achieve freedom from hunger and want, genuine social security, and the right to work". However, it also clarified that it did not promote any fixed and permanent definition for socialism, stating: "Socialists do not claim to possess the blueprint for some final and fixed society which cannot be changed, reformed or further developed. In a movement committed to democratic self-determination there will always be room for creativity since each people and every generation must set its own goals". The 1989 Socialist International congress was politically significant in that members of the Communist Party of the Soviet Union during the reformist leadership of Mikhail Gorbachev attended the congress. The Socialist International's new Declaration of Principles abandoned previous statements made in the Frankfurt Declaration of 1951 against Soviet-style communism. After the congress, the Soviet state newspaper Pravda noted that thanks to dialogue between the Soviet Communist Party and the SI since 1979 that "the positions of the CPSU and the Socialist International on nuclear disarmament issues today virtually coincide". The collapse of the Marxist–Leninist regimes in Eastern Europe after the end of the Cold War and the creation of multiparty democracy in many many of those countries resulted in the creation of multiple social democratic parties. Though many of these parties did not achieve initial electoral success, they became a significant part of the political landscape of Eastern Europe. In Western Europe, the prominent Italian Communist Party transformed itself into the post-communist Democratic Party of the Left in 1991. 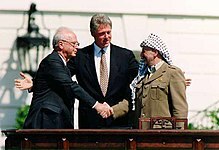 In the 1990s, Third Way politics developed and many social democrats became adherents of it. The social democratic variant of the Third Way has been advocated by its proponents as an alternative to both capitalism and what it regards as the traditional forms of socialism—including Marxist socialism and state socialism—which Third Way social democrats reject. It officially advocates ethical socialism, reformism and gradualism, which includes advocating a humanized version of capitalism, a mixed economy, political pluralism and liberal democracy. Left-wing opponents of Third Way social democracy claim that it is not a form of socialism and claim that it represents social democrats who responded to the New Right by accepting capitalism. The Third Way has been strongly criticized within the social democratic movement. Supporters of Third Way ideals argue that they merely represent a necessary or pragmatic adaptation of social democracy to the realities of the modern world, noting that traditional social democracy thrived during the prevailing international climate of the post-war Bretton Woods consensus, which collapsed in the 1970s. When he was a British Labour Party MP, Third Way supporter and former British Prime Minister Tony Blair wrote in a Fabian pamphlet in 1994 about the existence of two prominent variants of socialism: one is based on a Marxist economic determinist and collectivist tradition that he rejected and the other is an "ethical socialism" that he supported which was based on values of "social justice, the equal worth of each citizen, equality of opportunity, community". Prominent Third Way proponent Anthony Giddens, Baron Giddens views conventional socialism as essentially having become obsolete. However, Giddens claims that a viable form of socialism was advocated by Anthony Crosland in his major work The Future of Socialism (1956). He has complimented Crosland as well as Thomas Humphrey Marshall for promoting a viable socialism. Giddens views what he considers the conventional form of socialism that defines socialism as a theory of economic management—state socialism—as no longer viable. He rejects what he considers top-down socialism as well as rejecting neoliberalism and criticizes conventional socialism for its common advocacy that socialization of production as achieved by central planning can overcome the irrationalities of capitalism. Giddens claims that this claim "can no longer be defended". He says that with the collapse of legitimacy of centrally planned socialization of production, "[w]ith its dissolution, the radical hopes for by socialism are as dead as the Old Conservatism that opposed them". Giddens says that although there have been proponents of market socialism who have rejected such central planned socialism as well as being resistant to capitalism, "[t]here are good reasons, in my view, to argue that market socialism isn't a realistic possibility". Giddens makes clear that the Third Way, as he envisions it, is not market socialist, arguing that "[t]here is no Third Way of this sort, and with this realization the history of socialism as the avant-garde of political theory comes to a close". Giddens contends that Third Way is connected to the legacy of reformist revisionist socialism, saying: "Third way politics stands in the traditions of social democratic revisionism that stretch back to Eduard Bernstein and Karl Kautsky". The only common characteristic of socialist doctrines is their ethical content. Socialism is the pursuit of ideas of social cooperation, universal welfare, and equality—ideas brought together by a condemnation of the evils and injustices of capitalism. It is based on the critique of individualism and depends on a 'belief in group action and "participation", and collective responsibility for social welfare'. Paul Cammack has condemned the Third Way as conceived by Lord Giddens as being a complete attack upon the foundations of social democracy and socialism, in which Giddens has sought to replace them with capitalism. Cammack claims that Giddens devotes a lot of energy into criticizing conventional social democracy and conventional socialism—such as Giddens' claim that conventional socialism has "died" because Marx's vision of a new economy with wealth spread in an equitable way is not possible—while at the same time making no criticism of capitalism. As such, Cammack condemns Giddens and his Third Way for being anti-social-democratic, anti-socialist and pro-capitalist that Giddens disguises in rhetoric to make appealing within social democracy. British political theorist Robert Corfe who was in the past a social democratic proponent of a new socialism free of class-based prejudices, criticized both Marxist classists and Third Way proponents within the Labour Party. Corfe has denounced the Third Way as developed by Giddens for "intellectual emptiness and ideological poverty". Corfe has despondently noted and agreed with former long-term British Labour Party MP Alice Mahon's statement in which she said "Labour is the party of bankers, not workers. The party has lost its soul, and what has replace it is harsh, American style politics". Corfe claims that the failure to develop a new socialism has resulted in what he considers the "death of socialism" that left social capitalism as only feasible alternative. Former SPD chairman Oskar Lafontaine condemned then-SPD leader and German Chancellor Gerhard Schröder for his Third Way policies, saying that the SPD under Schröder had adopted "a radical change of direction towards a policy of neoliberalism". After resigning from the SPD, Lafontaine co-founded The Left in 2007. The Left was founded out of a merger of the Party of Democratic Socialism (PDS) and Labour and Social Justice – The Electoral Alternative (WASG), a breakaway faction from the SPD. The Left has been controversial because as a direct successor to the PDS it is also a direct successor of former East Germany's ruling Marxist–Leninist Socialist Unity Party (SED) that transformed into the PDS after the end of the Cold War. However, the PDS did not continue the SED's policies as the PDS adopted policies to appeal to democratic socialists, greens, feminists and pacifists. Lafontaine said in an interview that he supports the type of social democracy pursued by Willy Brandt, but claims that the creation of The Left was necessary because "formerly socialist and social democratic parties" had effectively accepted neoliberalism. The Left grew in strength and in the 2009 German parliamentary election gained 11 percent of the vote while the SPD gained 23 percent of the vote. Lafontaine has noted that the founding of The Left in Germany has resulted in emulation in other countries, with several Left parties being founded in Greece, Portugal, Netherlands and Syria. Lafontaine claims that a de facto British Left movement exists, identifying the Green Party of England and Wales MEP Caroline Lucas as holding similar values. Others have claimed that social democracy needs to move past the Third Way, such as Olaf Cramme and Patrick Diamond in their book After the Third Way: The Future of Social Democracy in Europe (2012). Cramme and Diamond recognize that the Third Way arose as an attempt to break down the traditional dichotomy within social democracy between state intervention and markets in the economy, but they contend that the global financial crisis of the late 2000s requires that social democracy must rethink its political economy. Cramme and Diamond note that belief in economic planning amongst socialists was strong in the early to mid-twentieth century, but declined with the rise of the neoliberal right that both attacked economic planning and associated the left with economic planning. They claim that this formed the foundation of the "Right's moral trap", in which the neoliberal right attacks on economic planning policies provokes a defense of such planning by the left as being morally necessary, and ends with the right then rebuking such policies as being inherently economically incompetent, while presenting itself as the champion of economic competence. Cramme and Diamond state that social democracy has five different strategies both to address the economic crisis in global markets at present that it could adopt in response: market conforming, market complimenting, market resisting, market substituting and market transforming. Cramme and Diamond identify market conforming as being equivalent to British Labour Party politician and former Chancellor of the Exchequer Philip Snowden's desire for a very moderate socialist agenda based above all upon fiscal prudence, as Snowden insisted that socialism had to build upon fiscal prudence or else it would not be achieved. France: in the first round of the 2017 French presidential election, the Socialist Party candidate Benoît Hamon received 6.4% of the votes, placing fifth, down from 28.6% in the 2012 when the party's candidate François Hollande was eventually elected president. In November 2016, Hollande's approval rating was 4%. Germany: the Social Democratic Party of Germany (SPD) dramatically fell from 34.2% of the vote in 2005 to 23.0% in 2009. This was the lowest support for SPD in post-World War II history. It was reduced further still to 20.5% in the 2017 German federal election. Greece: PASOK was once one of the dominant parties in Greece, but it received only 4.8% of the vote in January 2015 and 6.3% in September 2015. Iceland: in the 2016 Icelandic parliamentary election, the Social Democratic Alliance received 5.7% of votes, down from 29.8% in the 2013 parliamentary election. This is their lowest support in any election since the main predecessor of the alliance, the Social Democratic Party, first ran for election in August 1916. While the SDA lost support during the 2016 election, the Left-Green Movement increased its share by 5%. Ireland: the Irish Labour Party received 6.6% of the vote in the 2016 Irish general election, their worst result since 1987 and down from 19.5% in the 2011 election. Luxembourg: the Luxembourg Socialist Workers' Party received 20.2% of the vote in the 2013 Luxembourg general election, their lowest support since the 1931 general election. Netherlands: in the 2017 Dutch general election, the social democratic party Labour Party received 5.7% of votes, down from 24.8% in the 2012 general election. Spain: the 2015 Spanish general election resulted in the worst electoral results at 22% of the vote for the social democratic party Spanish Socialist Workers' Party since the re-establishment of democracy in 1977. However, in other countries such as Denmark and Portugal support for social democratic parties was relatively strong in polls as of 2017. Moreover, in some countries the decline of the social democratic parties was accompanied by a surge in the support for other centre-left or left-wing parties, such as Syriza in Greece, Unidos Podemos in Spain and the Left-Green Movement in Iceland. Several explanations for the European decline have been proposed. Some commentators highlight that the social democrat support of national fragmentation and labour market deregulation had become less popular among potential voters. For instance, French political scientist Pierre Manent emphasised the need for social democrats to rehabilitate and reinvigorate the idea of nationhood. After the Labour Party's loss in the 2017 Norwegian parliamentary election, commentators such as the editor of Avisenes Nyhetsbyrå highlighted that the party had ignored a strong surge in discontent with immigration among potential voters. Hanne Skartveit of Verdens Gang later claimed that social democrats have been struggling because the sustainability of the welfare state is challenged by immigration. Skarstein emphasised the contrast between social democrats' strong commitment for helping people on the international scene on one side, and their strong commitment in favour of welfare policies for the nation's own population on the other. A 2017 article in The Political Quarterly explains the decline in Germany with electoral disillusionment with Third Way politics, or more specifically Gerhard Schröder's embrace of the Hartz plan, which recommended welfare state retrenchment and labour market deregulation. The article claims that the SPD subsequently lost half of its former electoral coalition (namely blue-collar voters and socially disadvantaged groups) while efforts to gain access to centrist and middle-class voters failed to produce any compensating gains. Furthermore, the article concludes that the only possible remedy is for the SPD to make efforts to regain former voters by offering credible social welfare and redistributive policies. A research article in Socio-Economic Review found that the longer-term electoral effects of the Hartz plan and Agenda 2010 on relevant voter groups were limited, but that it had helped to entrench The Left as a permanent political force to the left of the SPD. Spain is one of the countries in which the main social democratic party, the Spanish Socialist Workers' Party, has been in government for a longer period of time than any other party since the transition to democracy in 1977. However, it has also declined like the European social democratic parties, losing half of its electorate between 2010 and 2015 and gaining its worse ever result since the restoration of democracy. Despite this, the Spanish Socialist Party returned to power in June 2018, with Pedro Sánchez leading the party. Some authors consider him and his government the last hope for Europe to retain its social democratic heritage and some believe they will act as an example to like-minded politicians in other countries. From a purely socialist point of view, social democratic reform is criticized because it serves to devise new means to strengthen the capitalist system, which conflicts with the socialist goal of replacing capitalism with a socialist system. Thus, it fails to address the systemic issues inherent in capitalism. The American democratic socialist philosopher David Schweickart contrasts social democracy with democratic socialism by defining the former as an attempt to strengthen the welfare state and the latter as an alternative economic system to capitalism. According to Schweickart, the democratic socialist critique of social democracy is that capitalism can never be sufficiently "humanized" and that any attempt to suppress its economic contradictions will only cause them to emerge elsewhere. For example, attempts to reduce unemployment too much would result in inflation and too much job security would erode labour discipline. In contrast to social democracy, democratic socialists advocate a post-capitalist economic system based on either market socialism combined with workers' self-management or on some form of participatory-economic planning. Marxian socialists argue that social democratic welfare policies cannot resolve the fundamental structural issues of capitalism, such as cyclical fluctuations, exploitation and alienation. Accordingly, social democratic programs intended to ameliorate living conditions in capitalism—such as unemployment benefits and taxation on profits—creates further contradictions by further limiting the efficiency of the capitalist system by reducing incentives for capitalists to invest in further production. The welfare state only serves to legitimize and prolong the exploitative and contradiction-laden system of capitalism to society's detriment. Critics of contemporary social democracy, such as Jonas Hinnfors, argue that when social democracy abandoned Marxism it also abandoned socialism and has become a liberal capitalist movement, effectively making social democrats similar to non-socialist parties like the Democratic Party in the United States. Market socialism is also critical of social democratic welfare states. While one common goal of both concepts is to achieve greater social and economic equality, market socialism does so by changes in enterprise ownership and management, whereas social democracy attempts to do so by subsidies and taxes on privately owned enterprises to finance welfare programs. Franklin Delano Roosevelt III and David Belkin criticize social democracy for maintaining a property-owning capitalist class which has an active interest in reversing social democratic welfare policies and a disproportionate amount of power as a class to influence government policy. The economists John Roemer and Pranab Bardhan point out that social democracy requires a strong labour movement to sustain its heavy redistribution through taxes and that it is idealistic to think such redistribution can be accomplished in other countries with weaker labour movements. They note that even in Scandinavian countries social democracy has been in decline as the labour movement weakened. Joseph Stalin was a vocal critic of reformist social democracy, later coining the term "social fascism" to describe social democracy in the 1930s because in this period social democracy embraced a similar corporatist economic model to the model supported by fascism. This view was adopted by the Communist International. Some critics claim that social democracy abandoned socialism in the 1930s by endorsing Keynesian welfare capitalism. The democratic socialist political theorist Michael Harrington argues that social democracy historically supported Keynesianism as part of a "social democratic compromise" between capitalism and socialism. This compromise created welfare states and thus Harrington contends that although this compromise did not allow for the immediate creation of socialism, it "recognized noncapitalist, and even anticapitalist, principles of human need over and above the imperatives of profit". More recently, social democrats in favour of the Third Way have been accused of having endorsed capitalism, including by anti-Third Way social democrats who have accused Third Way proponents such as Lord Giddens of being anti-social democratic and anti-socialist in practice. ^ Heywood 2012, p. 128: "Social democracy is an ideological stance that supports a broad balance between market capitalism, on the one hand, and state intervention, on the other hand. Being based on a compromise between the market and the state, social democracy lacks a systematic underlying theory and is, arguably, inherently vague. It is nevertheless associated with the following views: (1) capitalism is the only reliable means of generating wealth, but it is a morally defective means of distributing wealth because of its tendency towards poverty and inequality; (2) the defects of the capitalist system can be rectified through economic and social intervention, the state being the custodian of the public interest [...]"
^ Miller 1998, p. 827: "The idea of social democracy is now used to describe a society the economy of which is predominantly capitalist, but where the state acts to regulate the economy in the general interest, provides welfare services outside of it, and attempts to alter the distribution of income and wealth in the name of social justice." ^ Badie, Berg-Schlosser & Morlino 2011, p. 2423: "Social democracy refers to a political tendency resting on three fundamental features: (1) democracy (e.g., equal rights to vote and form parties), (2) an economy partly regulated by the state (e.g., through Keynesianism), and (3) a welfare state offering social support to those in need (e.g., equal rights to education, health service, employment and pensions)." ^ a b Weisskopf 1992, p. 10: "Thus social democrats do not try to do away with either the market or private property ownership; instead, they attempt to create conditions in which the operation of a capitalist market economy will lead to more egalitarian outcomes and encourage more democratic and more solidaristic practices than would a more conventional capitalist system." ^ Gombert et al. 2009, p. 8; Sejersted 2011. ^ "Social democracy". Encyclopædia Britannica. Retrieved 10 August 2015. ^ Adams 1993, pp. 102-103: "The emergence of social democracy was partly a result of the Cold War. People argued that if the Stalinist Soviet empire, where the state controlled everything, showed socialism in action, then socialism was not worth having. [...] The consensus policies of a mixed and managed economy and the welfare state, developed by the post-war Labour government, seemed in themselves to provide a basis for a viable socialism that would combine prosperity and freedom with social justice and the possibility of a full life for everyone. They could be seen as a compromise between socialism and capitalism." ^ Miller 1998, p. 827: "In the second, mainly post-war, phase, social democrats came to believe that their ideals and values could be achieved by reforming capitalism rather than abolishing it. They favored a mixed economy in which most industries would be privately owned, with only a small number of utilities and other essential services in public ownership." ^ Jones 2001, p. 1410: "In addition, particularly since World War II, distinctions have sometimes been made between social democrats and socialists on the basis that the former have accepted the permanence of the mixed economy and have abandoned the idea of replacing the capitalist system with a qualitatively different socialist society." ^ Heywood 2012, pp. 125–128: "As an ideological stance, social democracy took shape around the mid-twentieth century, resulting from the tendency among western socialist parties not only to adopt parliamentary strategies, but also to revise their socialist goals. In particular, they abandoned the goal of abolishing capitalism and sought instead to reform or ‘humanize’ it. Social democracy therefore came to stand for a broad balance between the market economy, on the one hand, and state intervention, on the other." ^ Lewis, Jane; Surender, Rebecca (2004). Welfare State Change: Towards a Third Way?. Oxford University Press. pp. 3–4, 16. ^ Whyman 2005, pp. 1–5. ^ Whyman 2005, p. 61. ^ Whyman 2005, p. 215. ^ Hoefer 2013, p. 29. ^ Meyer & Hinchman 2007, p. 137. ^ Meyer & Hinchman 2007, p. 91; Upchurch, Taylor & Mathers 2009, p. 51. ^ Schorske 1993, p. 2. ^ Miller 1998, p. 827: "In this (first) phase, therefore, the final aim of social democracy was to replace private ownership of industry with state or social ownership, but the means were to be those of parliamentary democracy." ^ Bronner 1999, p. 103. ^ Wright 1999, p. 86: "This was an ideology which, at bottom, was grounded not in materialism but in morals. Thus Bernstein summoned up Kant to point the way towards a politics of ethical choices." ^ Heywood 2012, p. 128: "The theoretical basis for social democracy has been provided more by moral or religious beliefs, rather than by scientific analysis. Social democrats have not accepted the materialist and highly systematic ideas of Marx and Engels, but rather advanced an essentially moral critique of capitalism." ^ Berman 2008, pp. 12–13: "Regardless of the specific policies they advocated, one thing that joined all budding interwar social democrats was a rejection of the passivity and economic determinism of orthodox Marxism [...] so they often embraced communitarian, corporatist, and even nationalist appeals and urged their parties to make the transition from workers' to 'people's' parties." ^ Adams 1993, p. 146. ^ a b c Bookchin 1998, p. 284. ^ a b Ishay 2008, p. 148. ^ Ishay 2008, p. 149–150. ^ a b c Aspalter 2001, p. 52. ^ a b c Aspalter 2001, p. 53. ^ a b Bookchin 1998, pp. 285–286. ^ Bookchin 1998, p. 219. ^ Bookchin 1998, p. 225. ^ Bookchin 1998, p. 229. ^ a b Bookchin 1998, p. 256. ^ Ishay 2008, p. 149. ^ Johnson, Walker & Gray 2014, pp. 119–120. ^ Johnson, Walker & Gray 2014, pp. 119–120; Marx 1972, p. 64. ^ a b c Hollander 2011, p. 201. ^ Hollander 2011, p. 208. ^ a b Engels, Friedrich (1885). England in 1845 and in 1885. Cited in Hollander 2011, p. 208. ^ Busky 2000, pp. 87–90. ^ Britain 2005, p. 29. ^ a b Clapson 2009, p. 328. ^ a b Britain 2005, p. 14. ^ Britain 2005, pp. 14, 29. ^ a b McBriar 1962, pp. 290–291. ^ McBriar 1962, p. 291. ^ a b McBriar 1962, p. 295. ^ McBriar 1962, p. 296. ^ Ward 1998, p. 27. ^ a b c Thompson 2006, p. 21. ^ Blaazer 2002, pp. 59–60. ^ a b Harrington 2011, p. 42. ^ McBriar 1962, p. 71. ^ Steger 1997, p. 67. ^ a b Steger 1997, p. 116. ^ Harrington 2011, pp. 43–59. ^ Berman 2006, pp. 38–39. ^ Harrington 2011, p. 251. ^ Steger 1997, pp. 236–237. ^ Harrington 2011, pp. 249–250. ^ a b c Steger 1997, p. 133. ^ Steger 1997, p. 141. ^ Wright 1999, p. 86. ^ Wright 1999, p. 88. ^ Berman 2006, p. 2. ^ a b Steger 1997, p. 96. ^ Jackson 2008: "Bernstein was also cautious about the use of social spending to ameliorate capitalism; he ranked what would later be called the 'welfare state' as a helpful intervention, but ultimately secondary to more decisive policies intended to attack the source of poverty and inequality. He expressed skepticism about state aid to the unemployed, for example, which he feared might merely sanction a new form of 'pauperism'." ^ a b c d Steger 1997, p. 154. ^ Luxemburg, Rosa. Reform or Revolution. p. 60. Cited in Steger 1997, p. 96. ^ Steger 1997, p. 115. ^ Steger 1999, p. 182. ^ a b c d Steger 1999, p. 186. ^ a b Bernstein 2004, p. xix. ^ Harrington 2011, p. 47. ^ a b c d Steger 1997, pp. 217–218. ^ Steger 1997, p. 167. ^ a b c Steger 1997, pp. 218–219. ^ Steger 1997, p. 219. ^ a b Steger 1997. ^ Tucker & Roberts, p. 1158. ^ Morgan 1987, pp. 69–70. ^ Morgan 1987, p. 71. ^ Rubinstein 2006, pp. 46–47. ^ a b Childs 2000, p. 2. ^ a b Berman 1998, p. 145. ^ Berman 1998, p. 146. ^ a b c Naarden 2002, p. 509. ^ a b Naarden 2002, p. 425. ^ Naarden 2002, p. 434. ^ Naarden 2002, p. 441. ^ a b Ceplair 1987, p. 78. ^ a b c Notermans 2000, p. 102. ^ Notermans 2000, pp. 102, 110. ^ Notermans 2000, p. 111. ^ Sejersted 2011, p. 180. ^ a b c Macfarlane 1996, p. 44. ^ Morgan 2006, pp. 43–44. ^ a b Jeffreys 1999, p. 29. ^ Harrington 2011, p. 56. ^ a b Harrington 2011, p. 57. ^ Edinger 1956, p. 215. ^ Edinger 1956, pp. 219–220. ^ Macfarlane 1996, pp. 44–45. ^ Notermans 2000, p. 121. ^ Hart 1986, p. 13. ^ Socialist International. "Aims and Tasks of Democratic Socialism: Declaration of the Socialist International", Socialist International, First Congress, Frankfurt-am-Main, Federal Republic of Germany, 1951. ^ Adams 1993, p. 108. ^ a b c Merkel et al. 2008, p. 10. ^ a b c d e f g h Matthijs 2011, pp. 65–67. ^ Lamb & Docherty 2006, p. 14. ^ a b c d e Ellis 2004, p. 76. ^ Notermans 2000, p. 155. ^ Agrawal & Aggarwal 1989, p. 85. ^ Berger 2004, p. 73. ^ Janowsky 1959, p. 94. ^ Busky 2000, p. 11. ^ a b Orlow 2000, p. 108. ^ a b c d Orlow 2000, p. 190. ^ a b Adams 2001, p. 108. ^ a b c d Berman 2006, p. 190. ^ Springer, Simon; Birch, Kean; MacLeavy, Julie, eds. (2016). The Handbook of Neoliberalism. Routledge. p. 1-3. ISBN 978-1138844001. ^ Diamond 2012, p. 4. ^ a b Van Oudenaren 1991, p. 144. ^ Declaration of Principles. Socialist International, 1989. ^ Lamb & Docherty 2006, p. 82. ^ a b N.D. Arora. Political Science for Civil Services Main Examination. Tata McGraw-Hill Education, 2010. 9.22. ^ Romano 2006, p. 5. ^ a b c Cammack 2004, p. 155. ^ Tansey & Jackson 2008, p. 97. ^ a b Giddens 1998, p. 67. ^ Giddens 1998, p. 73. ^ Cammack 2004, p. 152. ^ Giddens 2003, p. 2. ^ a b Giddens 1998, p. 71. ^ Corfe 2010, p. 178. ^ Corfe 2010, p. 33. ^ Corfe 2010, pp. 33, 178. ^ Barrientos & Powell 2004, p. 18. ^ a b Lafontaine 2009, p. 7. ^ a b Hudson 2012, pp. 1–2. ^ Lafontaine 2009, p. 3. ^ Lafontaine 2009, p. 4. ^ Gamble 2012, p. 47. ^ Gamble 2012, p. 50. ^ Gamble 2012, p. 54. ^ Gamble 2012, pp. 54–55. ^ Pierpaolo Barbieri (25 April 2017). "The Death and Life of Social Democracy". Foreign Affairs. Retrieved 20 October 2017. ^ Emily Tamkin (2 November 2016). "Mon Dieu, François Hollande's Approval Rating Is at 4 Percent". Foreign Policy. Retrieved 20 October 2017. ^ Tom Angier (8 February 2017). "What French philosophy can tell us about the EU, nationhood, and the decline of social democracy". Retrieved 20 October 2017. ^ Espen Goffeng (12 September 2017). "En venstreside på villspor". Retrieved 20 October 2017. ^ Håkon Arntsen (3 October 2017). "Ap har mistet folket". Retrieved 20 October 2017. ^ Kjell Werner (4 October 2017). "Ap ble for utydelig". Retrieved 20 October 2017. ^ Johannes Norman Hoel (5 October 2017). "Innvandring og fortielse". Retrieved 20 October 2017. ^ "– Splittelsen går tvers gjennom Ap". 2018-09-12. ^ Jörg Michael Dostal (19 December 2016). "The Crisis of German Social Democracy Revisited". The Political Quarterly. 88 (2): 230–240. doi:10.1111/1467-923X.12316. ^ Hanna Schwander; Philip Manow (10 September 2016). "'Modernize and Die'? German social democracy and the electoral consequences of the Agenda 2010". Socio-Economic Review: mww011. doi:10.1093/ser/mww011. Retrieved 20 October 2017. ^ "Is Spain going to be the last test case for social democracy in the EU?". openDemocracy. 26 July 2018. Retrieved 4 August 2018. ^ Hutton, Will (22 July 2018). "Progressives in Britain can still triumph if they look to Spain's success". The Guardian. Retrieved 4 August 2018. ^ "Spain's Socialists seen easily winning election, new poll shows". Reuters. Retrieved 4 August 2018. ^ Clarke 1981, p. 2. ^ Schweickart 2007: "Social democrats supported and tried to strengthen the basic institutions of the welfare state—pensions for all, public health care, public education, unemployment insurance. They supported and tried to strengthen the labor movement. The latter, as socialists, argued that capitalism could never be sufficiently humanized and that trying to suppress the economic contradictions in one area would only see them emerge in a different guise elsewhere (e.g., if you push unemployment too low, you'll get inflation; if job security is too strong, labor discipline breaks down.)" ^ Schweickart 2007: "Virtually all [democratic] socialists have distanced themselves from the economic model long synonymous with socialism (i.e., the Soviet model of a nonmarket, centrally planned economy) [...] Some have endorsed the concept of market socialism, a postcapitalist economy that retains market competition but socializes the means of production and, in some versions, extends democracy to the workplace. Some hold out for a nonmarket, participatory economy. All democratic socialists agree on the need for a democratic alternative to capitalism." ^ Ticktin 1998, pp. 60–61: "The Marxist answers that...it involves limiting the incentive system of the market through providing minimum wages, high levels of unemployment insurance, reducing the size of the reserve army of labour, taxing profits, and taxing the wealthy. As a result, capitalists will have little incentive to invest and the workers will have little incentive to work. Capitalism works because, as Marx remarked, it is a system of economic force (coercion)." ^ Hinnfors 2006, pp. 117, 137–139. ^ Weisskopf 1994, pp. 314–315: "Social democracy achieves greater egalitarianism via ex post government taxes and subsidies, where market socialism does so via ex ante changes in patterns of enterprise ownership [...] the maintenance of property-owning capitalists under social democracy assures the presence of a disproportionately powerful class with a continuing interest in challenging social democratic government policies." ^ Bardhan & Roemer 1992, p. 104: "Since it [social democracy] permits a powerful capitalist class to exist (90 percent of productive assets are privately owned in Sweden), only a strong and unified labor movement can win the redistribution through taxes that is characteristic of social democracy. It is idealistic to believe that tax concessions of this magnitude can be effected simply through electoral democracy without an organized labor movement, when capitalists organize and finance influential political parties. Even in the Scandinavian countries, strong apex labor organizations have been difficult to sustain and social democracy is somewhat on the decline now." ^ Fitzpatrick 2003, pp. 2–3; Wright 1999, p. 91. ^ Harrington 2011, p. 93. ^ "Commission for Racial Equality: Clement Attlee Lecture: Trevor Phillips's speech". 21 April 2005. Archived from the original on 16 August 2007. ^ "Nuevo impulso conservador". La República. 2007-11-30. ^ Björkman, Stig; Manns, Torsten; Sima, Jonas (1970). Austin, Paul Britten trans. (1973). Bergman on Bergman: Interviews with Ingmar Bergman. Simon & Schuster. p. 176–178. ISBN 0306805200. ^ "Eduard Bernstein Reference Archive". 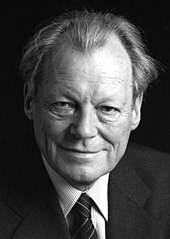 ^ "Encyclopædia Britannica: Willy Brandt". ^ "Hjalmar Branting: The Nobel Peace Prize 1921". ^ Bogdanor 1985, p. 49. ^ "Encyclopædia Britannica: Wilhelm Liebknecht". ^ Kreisky 2000, pp. 378ff; Wolinetz 2008, pp. 182ff. ^ a b Slomp 2011, pp. 145ff. ^ Rodríguez García 2010, pp. 254ff. Adams, Ian (1993). Political Ideology Today. Politics Today. Manchester University Press. ISBN 978-0-7190-3346-9. ——— (2001). Political Ideology Today. Politics Today (2nd ed.). Manchester University Press. ISBN 978-0-7190-6019-9. Agrawal, S. P.; Aggarwal, J. C., eds. (1989). Nehru on Social Issues. New Delhi: Concept Publishing. ISBN 978-817022207-1. Alpert, Michael. A New International History of the Spanish Civil War. Aspalter, Christian (2001). Importance of Christian and Social Democratic Movements in Welfare Politics: With Special Reference to Germany, Austria and Sweden. Huntington, New York: Nova Science Publishers. ISBN 978-1-56072-975-4. Badie, Bertrand; Berg-Schlosser, Dirk; Morlino, Leonardo, eds. (2011). "Social Democracy". International Encyclopedia of Political Science. 8. Sage Publications. ISBN 978-1-4129-5963-6. Bardhan, Pranab; Roemer, John E. (1992). "Market Socialism: A Case for Rejuvenation". Journal of Economic Perspectives. 6 (3): 101–116. doi:10.1257/jep.6.3.101. ISSN 0895-3309. Barrientos, Armando; Powell, Martin (2004). "The Route Map of the Third Way". In Hale, Sarah; Leggett, Will; Martell, Luke (eds.). The Third Way and Beyond: Criticisms, Futures and Alternatives. Manchester University Press. pp. 9–26. ISBN 978-0-7190-6598-9. Berger, Mark T. (2004). The Battle for Asia: From Decolonization to Globalization. Asia's Transformations. London: RoutledgeCurzon. ISBN 978-0-415-32529-5. Berman, Sheri (1998). The Social Democratic Moment: Ideas and Politics in the Making of Interwar Europe. Cambridge, Massachusetts: Harvard University Press. ISBN 978-0-674-44261-0. ——— (2006). The Primacy of Politics: Social Democracy and the Making of Europe's Twentieth Century. Cambridge University Press. ISBN 978-0-521-81799-8. ——— (2008). Understanding Social Democracy (PDF). What's Left of the Left: Liberalism and Social Democracy in a Globalized World. Cambridge, Massachusetts: Minda de Gunzburg Center for European Studies, Harvard University. Retrieved 29 January 2016. Bernstein, Eduard (2004) . Tudor, Henry (ed.). The Preconditions of Socialism. Cambridge Texts in the History of Political Thought. Translated by Tudor, Henry. Cambridge, England: Cambridge University Press. ISBN 978-0-521-39121-4. Blaazer, David (2002) . The Popular Front and the Progressive Tradition: Socialists, Liberals, and the Quest for Unity, 1884–1939. Cambridge University Press. ISBN 978-0-521-41383-1. Bogdanor, Vernon (1985). "The Social Democratic Party and the Alliance". In Burch, Martin; Jaenicke, Douglas; Gardner, John (eds.). Three Political Systems: A Reader in British, Soviet and American Politics. Manchester University Press. ISBN 978-0-7190-1085-9. Bookchin, Murray (1998). The Third Revolution: Popular Movements in the Revolutionary Era. 2. London: Cassell. Britain, Ian (2005) . Fabianism and Culture: A Study in British Socialism and the Arts, c. 1884–1918. Cambridge University Press. ISBN 978-0-521-02129-6. Bronner, Stephen Eric (1999). Ideas in Action: Political Tradition in the Twentieth Century. Oxford: Rowman & Littlefield Publishers. ISBN 978-0-8476-9387-0. Busky, Donald F. (2000). Democratic Socialism: A Global Survey. Westport, Connecticut: Praeger Publishers. ISBN 978-0-275-96886-1. Cammack, Paul (2004). "Giddens's Way with Words". In Hale, Sarah; Leggett, Will; Martell, Luke (eds.). The Third Way and Beyond: Criticisms, Futures and Alternatives. Manchester University Press. pp. 151–166. ISBN 978-0-7190-6598-9. Ceplair, Larry (1987). Under the Shadow of War: Fascism, Anti-Fascism, and Marxists, 1918–1939. New York: Columbia University Press. ISBN 978-0-231-06532-0. Chickering, Roger. Imperial Germany and the Great War, 1914–1918. Cambridge University Press. Childs, David (2000). The Two Red Flags: European Social Democracy and Soviet Communism since 1945. London: Routledge. ISBN 978-0-415-22195-5. Clapson, Mark (2009). The Routledge Companion to Britain in the Twentieth Century. Routledge Companions to History. Abingdon, Oxfordshire: Routledge. ISBN 978-0-415-27535-4. Clarke, Peter (1981). Liberals and Social Democrats. Cambridge University Press. ISBN 978-0-521-28651-0. Corfe, Robert (2010). The Future of Politics: With the Demise of the Left/Right Confrontational System. Bury St Edmunds, England: Arena Books. ISBN 978-1-906791-46-9. Diamond, Patrick (2012). "From Fatalism to Fraternity: Governing Purpose and Good Society". In Cramme, Olaf; Diamond, Patrick (eds.). After the Third Way: The Future of Social Democracy in Europe. London: I.B. Tauris. pp. 1–27. ISBN 978-1-84885-992-0. Edinger, Lewis Joachim (1956). German Exile Politics: The Social Democratic Executive Committee in the Nazi Era. Berkeley: University of California Press. Ellis, Catherine (2004). "Total Abstinence and a Good Filing-System? Anthony Crosland and the Affluent Society". In Black, Lawrence; Pemberton, Hugh (eds.). An Affluent Society? Britain's Post-War 'Golden Age' Revisited. Modern Economic and Social History. Aldershot, England: Ashgate. pp. 69–84. ISBN 978-0-7546-3528-4. Fitzpatrick, Tony (2003). After the New Social Democracy: Social Welfare for the Twenty-First Century. Manchester University Press. ISBN 978-0-7190-6477-7. Gamble, Andrew (2012). "Debt and Deficits: The Quest for Economic Competence". In Cramme, Olaf; Diamond, Patrick (eds.). After the Third Way: The Future of Social Democracy in Europe. London: I.B. Tauris. pp. 45–59. ISBN 978-1-84885-992-0. Giddens, Anthony (1998) . Beyond Left and Right: The Future of Radical Politics. Cambridge, England: Polity Press. ——— (2003). "Neoprogressivism: A New Agenda for Social Democracy". In Giddens, Anthony (ed.). The Progressive Manifesto: New Ideas for the Centre-Left. Cambridge, England: Polity Press. pp. 1–34. ISBN 978-0-7456-3295-7. Gombert, Tobias; Bläsius, Julia; Krell, Christian; Timpe, Martin, eds. (2009). Foundations of Social Democracy (PDF). Social Democratic Reader. 1. Translated by Patterson, James. Berlin: Friedrich-Ebert-Stiftung. ISBN 978-3-86872-215-4. Retrieved 31 January 2016. Harrington, Michael (2011) . Socialism: Past and Future. New York: Arcade Publishing. ISBN 978-1-61145-335-5. Hart, John M. (1986). "Agrarian Reform". In Raat, W. Dirk; Beezley, William H. (eds.). Twentieth-Century Mexico. Lincoln, Nebraska: University of Nebraska Press. pp. 6–16. ISBN 978-0-8032-8914-7. Heywood, Andrew (2012). Political Ideologies: An Introduction (5th ed.). Basingstoke, England: Palgrave Macmillan. ISBN 978-0-230-36725-8. Hinnfors, Jonas (2006). Reinterpreting Social Democracy: A History of Stability in the British Labour Party and Swedish Social Democratic Party. Critical Labour Movement Studies. Manchester University Press. ISBN 978-0-7190-7362-5. Hoefer, Richard (2013). "Social Welfare Policy and Politics". In Colby, Ira C.; Dolmus, Catherine N.; Sowers, Karen M. (eds.). Connecting Social Welfare Policy to Fields of Practice. Hoboken, New Jersey: John Wiley & Sons. ISBN 978-1-118-17700-6. Hollander, Samuel (2011). Friedrich Engels and Marxian Political Economy. Cambridge University Press. ISBN 978-0-521-76163-5. Hudson, Kate (2012). The New European Left: A Socialism for the Twenty-First Century?. Basingstoke, England: Palgrave Macmillan. ISBN 978-0-230-24876-2. Ishay, Michelle R. (2008) . The History of Human Rights: From Ancient Times to the Globalization Era. Berkeley: University of California Press. ISBN 978-0-520-25641-5. Jackson, Ben (2008). "Social Democracy". In Durlauf, Steven N.; Blume, Lawrence E. (eds.). The New Palgrave Dictionary of Economics. 7 (2nd ed.). Basingstoke, England: Palgrave Macmillan. ISBN 978-0-333-78676-5. Janowsky, Oscar Isaiah (1959). Foundations of Israel: Emergence of a Welfare State. Princeton, New Jersey: Van Nostrand. Jeffreys, Kevin (1999). Leading Labour: From Keir Hardie to Tony Blair. London: I.B. Tauris. ISBN 978-1-86064-453-5. Johnson, Elliott; Walker, David; Gray, Daniel (2014). Historical Dictionary of Marxism. Historical Dictionaries of Religions, Philosophies, and Movements (2nd ed.). Lanham, Maryland: Rowman & Littlefield. ISBN 978-1-4422-3798-8. Jones, R. J. Barry, ed. (2001). Routledge Encyclopedia of International Political Economy. 3. London: Routledge. ISBN 978-0-415-14532-9. Kreisky, Bruno (2000). Berg, Matthew Paul; Lewis, Jill; Rathkolb, Oliver (eds.). The Struggle for a Democratic Austria: Bruno Kreisky on Peace and Social Justice. Translated by Atkins, Helen; Berg, Matthew Paul. New York: Berghahn Books. ISBN 978-1-57181-155-4. Lafontaine, Oskar (2009). Left Parties Everywhere?. Socialist Renewal. Nottingham, England: Spokesman Books. ISBN 978-0-85124-764-9. Lamb, Peter; Docherty, James C., eds. (2006). Historical Dictionary of Socialism. Historical Dictionaries of Religions, Philosophies, and Movements. 73 (2nd ed.). Lanham, Maryland: Scarecrow Press. ISBN 978-0-8108-5560-1. Macfarlane, Leslie (1996). "Socialism and Common Ownership: An Historical Perspective". In King, Preston (ed.). Socialism and the Common Good: New Fabian Essays. London: Frank Cass. pp. 17–62. ISBN 978-0-7146-4655-8. Marx, Karl (1972). Padover, Saul K. (ed.). The Karl Marx Library. Volume I: On Revolution. New York: McGraw-Hill. Matthijs, Matthias (2011). Ideas and Economic Crises in Britain from Attlee to Blair (1945–2005). Routledge Explorations in Economic History. 49. Abingdon, England: Routledge. ISBN 978-0-415-57944-5. McBriar, A. M. (1962). Fabian Socialism and English Politics: 1884–1918. Cambridge University Press. Merkel, Wolfgang; Petring, Alexander; Henkes, Christian; Egle, Christoph (2008). Social Democracy in Power: The Capacity to Reform. Routledge Research in Comparative Politics. London: Routledge. ISBN 978-0-415-43820-9. Meyer, Thomas; Hinchman, Lewis P. (2007). The Theory of Social Democracy. Cambridge, England: Polity Press. ISBN 978-0-7456-4113-3. Miller, David (1998). "Social Democracy". In Craig, Edward (ed.). Routledge Encyclopedia of Philosophy. 8. Routledge. ISBN 978-0-415-18713-8. Morgan, Austen (1987). J. Ramsay MacDonald. Lives of the Left. Manchester University Press. ISBN 978-0-7190-2168-8. Morgan, Kevin (2006). MacDonald. 20 British Prime Ministers of the 20th Century. London: Haus Publishing. ISBN 978-1-904950-61-5. Naarden, Bruno (2002) . Socialist Europe and Revolutionary Russia: Perception and Prejudice, 1848–1923. Cambridge University Press. ISBN 978-0-521-89283-4. Notermans, Ton (2000). Money, Markets, and the State: Social Democratic Economic Policies since 1918. Cambridge Studies in Comparative Politics. Cambridge University Press. ISBN 978-0-521-63339-0. Orlow, Dietrich (2000). Common Destiny: A Comparative History of the Dutch, French, and German Social Democratic Parties, 1945–1969. New York: Berghahn Books. ISBN 978-1-57181-185-1. Rodríguez García, Magaly (2010). Liberal Workers of the World, Unite? : The ICFTU and the Defence of Labour Liberalism in Europe and Latin America (1949–1969). Trade Unions Past, Present, and Future. 5. Bern: Peter Lang. ISBN 978-3-0343-0112-1. Romano, Flavio (2006). Clinton and Blair: The Political Economy of the Third Way. Routledge Frontiers of Political Economy. 75. London: Routledge. ISBN 978-0-415-37858-1. Rubinstein, David (2006). The Labour Party and British Society: 1880–2005. Brighton, England: Sussex University Press. ISBN 978-1-84519-055-2. Schorske, Carl E. (1993) . German Social Democracy, 1905–1917: The Development of the Great Schism. Harvard Historical Studies. 65. Cambridge, Massachusetts: Harvard University Press. ISBN 978-0-674-35125-7. Schweickart, David (2007). "Democratic Socialism". In Anderson, Gary L.; Herr, Kathryn G. (eds.). Encyclopedia of Activism and Social Justice. 1. Thousand Oaks, California: Sage Publications. ISBN 978-1-4129-1812-1. Sejersted, Francis (2011). Adams, Madeleine B. (ed.). The Age of Social Democracy: Norway and Sweden in the Twentieth Century. Translated by Daly, Richard. Princeton University Press. ISBN 978-0-691-14774-1. Slomp, Hans (2011). Europe, A Political Profile: An American Companion to European Politics. 1. Santa Barbara, California: ABC-CLIO. ISBN 978-0-313-39182-8. Steger, Manfred B. (1997). The Quest for Evolutionary Socialism: Eduard Bernstein and Social Democracy. Cambridge University Press. ISBN 978-0-521-58200-1. ——— (1999). "Friedrich Engels and the Origins of German Revisionism: Another Look". In Steger, Manfred B.; Carver, Terrell (eds.). Engels After Marx. University Park, Pennsylvania: Pennsylvania State University. pp. 181–196. ISBN 978-0-271-01891-1. Tansey, Stephen D.; Jackson, Nigel (2008). Politics: The Basics (4th ed.). London: Routledge. ISBN 978-0-415-42244-4. Thompson, Noel (2006). Political Economy and the Labour Party: The Economics of Democratic Socialism, 1884–2005 (PDF) (2nd ed.). Abingdon, England: Routledge. ISBN 978-0-415-32880-7. Retrieved 1 February 2016. Ticktin, Hillel (1998). "The Problem is Market Socialism". In Ollman, Bertell (ed.). Market Socialism: The Debate Among Socialists. New York: Routledge. pp. 55–80. ISBN 978-0-415-91966-1. Tucker, Spencer C.; Roberts, Priscilla Mary (eds.). World War I: A Student Encyclopedia. Santa Barbara, California: ABC-CLIO. Upchurch, Martin; Taylor, Graham; Mathers, Andrew (2009). The Crisis of Social Democratic Trade Unionism in Western Europe: The Search for Alternatives. Contemporary Employment Relations. Farnham, England: Ashgate Publishing. ISBN 978-0-7546-7053-7. Van Oudenaren, John (1991). Détente in Europe: The Soviet Union and the West since 1953. Durham, North Carolina: Duke University Press. ISBN 978-0-8223-1133-1. Ward, Paul (1998). Red Flag and Union Jack: Englishness, Patriotism and the British Left, 1881–1924. Studies in History. Woodbridge, England: Boydell Press. ISBN 978-0-86193-239-9. ISSN 0269-2244. ——— (1994). "Challenges to Market Socialism: A Response to Critics". In Roosevelt, Frank; Belkin, David (eds.). Why Market Socialism? Voices from Dissent. Armonk, New York: M. E. Sharpe. pp. 297–318. ISBN 978-1-56324-465-0. Wolinetz, Steven (2008). "Trimming Sails: The Dutch and the EU Constitution after the Referendum". In Laursen, Finn (ed.). The Rise and Fall of the EU's Constitutional Treaty. Constitutional Law Library. 5. Martinus Nijhoff Publishers. ISBN 978-900416806-0. Wright, Anthony (1999). "Social Democracy and Democratic Socialism". In Eatwell, Roger; Wright, Anthony (eds.). Contemporary Political Ideologies (2nd ed.). London: Continuum. pp. 80–103. ISBN 978-1-85567-605-3. Whyman, Philip (2005). Third Way Economics: Theory and Evaluation. Springer. ISBN 978-0-2305-1465-2. Brandal, Nik; Bratberg, Øivind; Thorsen, Dag Einar (2013). The Nordic Model of Social Democracy. Basingstoke, England: Palgrave Macmillan. ISBN 978-1-137-01326-2. Cronin, James E.; Ross, George W.; Shoch, James, eds. (2011). What's Left of the Left: Democrats and Social Democrats in Challenging Times. Durham, North Carolina: Duke University Press. ISBN 978-0-8223-5079-8. Evans, Bryan; Schmidt, Ingo, eds. (2012). Social Democracy After the Cold War. Edmonton, Alberta: Athabasca University Press. ISBN 978-1-926836-87-4. Kenworthy, Lane (2014). Social Democratic America. New York: Oxford University Press. ISBN 978-0-19-932251-0. Lavelle, Ashley (2008). The Death of Social Democracy: Political Consequences in the 21st Century. Aldershot, England: Ashgate. ISBN 978-0-7546-7014-8. Martell, Luke (2011). "Conflicts in Cosmopolitanism and the Global Left". London: Policy Network. Retrieved 3 August 2016. Sachs, Jeffrey D. (2006). "The Social Welfare State, beyond Ideology". Scientific American. Vol. 295 no. 5. New York. p. 42. ISSN 0036-8733. Archived from the original on 12 October 2007. Retrieved 2 August 2016. Thorsen, Dag Einar; Brandal, Nik; Bratberg, Øivind (2013). "Utopia Sustained: The Nordic Model of Social Democracy". London: Fabian Society. Retrieved 2 August 2016. Wikimedia Commons has media related to Social democracy. "Papers on the Future of Social Democracy in Canada". Shaw, Martin. "Social Democracy in the unfinished global revolution".